Bowling Green native and Milwaukee Brewers outfielder Corey Hart was selected to his second All-Star team Sunday by being named a reserve for the National League squad. Hart is batting .286 with a league-leading 18 home runs. The Greenwood High School alum has already driven in 60 runs this season and boasts a .350 on-base percentage and .564 slugging percentage. 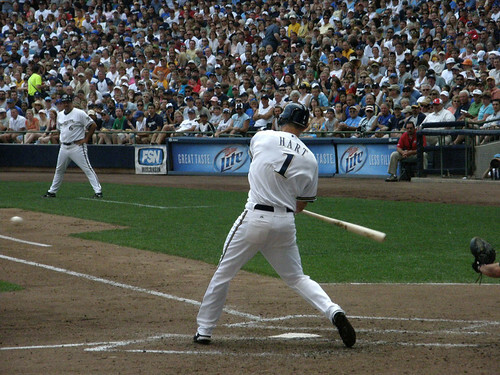 Hart was also named a NL All-Star in 2008.